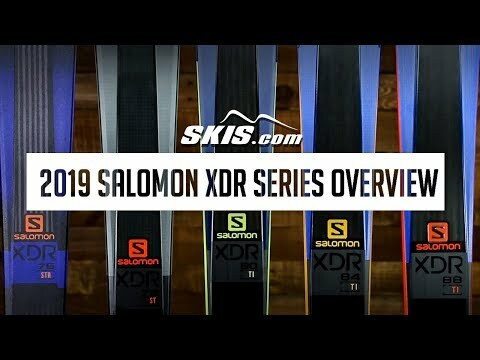 The new Salomon XDR 84 Ti is a perfect ski for the strong intermediate skier looking for smooth and controlled turns on the frontside of the mountain. A Single Ti Laminate, layer of Carbon and a Full Woodcore feels powerful when you need it to when you want to crank up the speed, but will not feel too demanding or fatiguing. Salomon's Pulse Pad adds elastomer dampeners over the Full Sandwich Sidewalls that smooth out vibrations when you start skiing fast or come across firm terrain. The CFX Transversal Construction keeps the weight of the XDR 84 impressively low, but will offer you all of the stability you need. All-Terrain Rocker 2.0 Construction adds extra maneuverability by delivering quick turn initiation, smooth exits from your turns and rebound. The new Salomon XDR 84 Ti will be a perfect ski for you if you want control, speed and a less fatiguing ski. 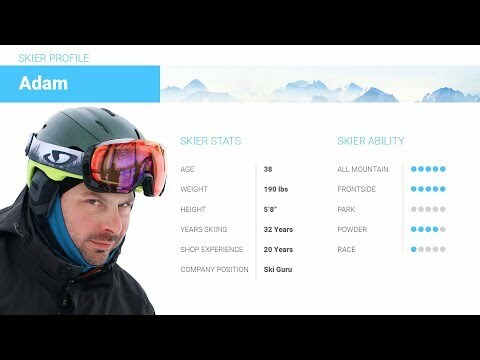 2018 Salomon XDR 84 TI Ski Review by Adam. 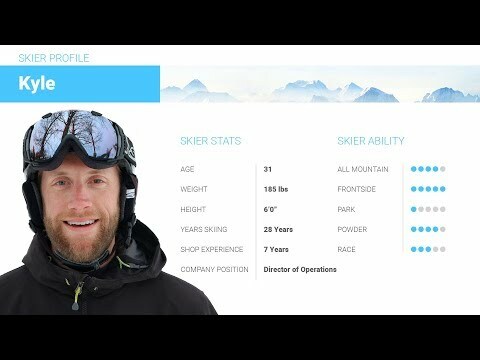 2018 Salomon XDR 84 TI Ski Review by Thom. Q: Hello, I am buying these XDR 84. I'm a strong intermediate, skiing East Coast from blues to double black (carefully). Generally on-piste due to availability, although I enjoy working on my un-groomed terrain skills. I'm 5' 7" 145 lb. I demoed the 165 cm and loved how responsive and easy to maneuver they were. I would have liked a bit more stability at speed. Should I jump to the 172 cm? A: At your weight and height you should have no issues moving up the the 173cm length. It will absolutely provide you with more stability at speed, but due to the shape of these skis, will not have a significant reduction on how maneuverable they are. So you will get that extra stability with out any noticeable sacrifice. 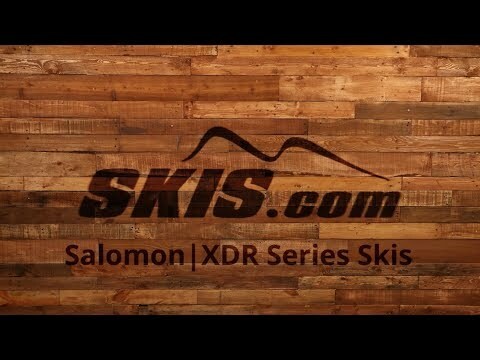 Q: Hello, I am looking at purchasing the Salomon XDR 84 ski and am debating if I should go with 165 or 172 CM in length. I am strong intermediate skier and located and ski in Colorado. My current skis are 170 CM. I ski mostly on front mountain slopes and most of them are groom run. I do occasionally ski on mogul run also. I am 5'7" and weigh 155 lbs. A: Based on your weight, ability and preferred terrain, I would recommend the 172cm for you. 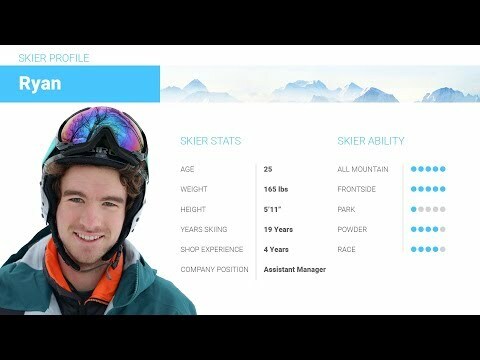 Q: I'm an East-coast skier. I presently use a 174 sized Salomon QST 99 on powder days and mashed-potato spring skis days -- and I love them more than my family! I'm thinking of buying these XDR ski because I hear they are similar. 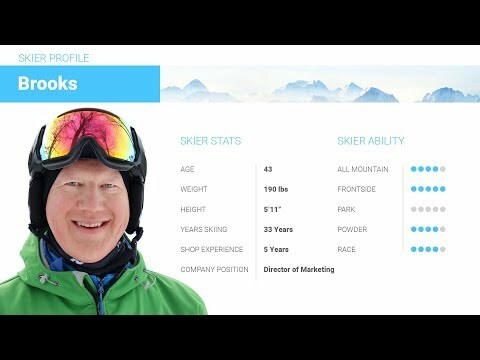 I would use the skinnier XDR ski on hard-pack days and moguls. What size do you recommend? I am 46 years old and weight 204 lbs and about 5'9". Thanks! A: Based on your weight and location I would recommend the 179cm. The shape of the XDR is really fun, this would make a fine addition to your beloved QST's.